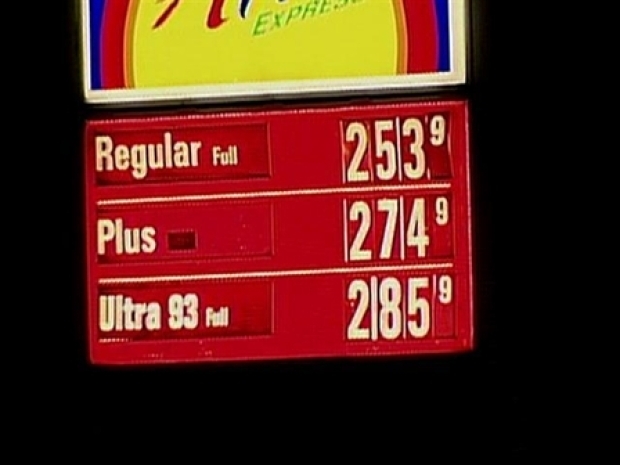 Gas prices drop across the tri-state area. Amid all the economic turmoil the past few weeks, the one bright spot has been at the gas pump. Gas prices along the New Jersey Turnpike and the Garden State Parkway are going down. Prices dropped another $.20 Friday morning to $2.33 for regular. However, those prices seem steep compared with gas prices found in Jersey City, where regular gas was going for as low as $2.08 per gallon. Gas prices along the New Jersey Turnpike and the Garden State Parkway dropped another $.20 Friday morning to $2.33 for regular. Still, drivers are breathing a sigh of relief, hoping that recent drops in gas prices are signs of better economic times to come. In New York City and Long Island, prices hovered around $2.70 and $2.60 per gallon, respectively. Premium gas prices on the Turnpike dropped about $.18 compared with last week, and diesel prices went down about $.13.